For quite some time, Instagram’s mobile website has been pretty barebones. You could look at photos and like them, but when compared to the actual app on your phone, the experiences don’t quite stack up. Thanks to a change, which includes the ability to create Stories straight from the mobile web, things are looking better. Announced this morning, with availability said to rollout widely over the coming weeks, users who are logged into their account on www.instagram.com will see a new “Camera” icon in the top left corner of their feed. 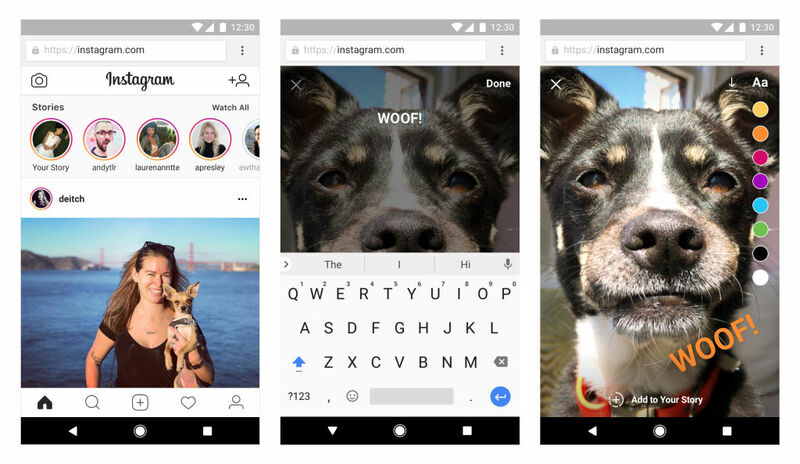 By clicking that, your browser will request access to your phone’s camera, allowing you to snap photos, draw on them, then share them to your Stories. Additionally, you can now save posts you’d like to revisit later. You can access all of your saved posts by tapping the “Bookmark” icon in the top right corner of the page. If for some reason you can’t access your IG app, this could come in handy.